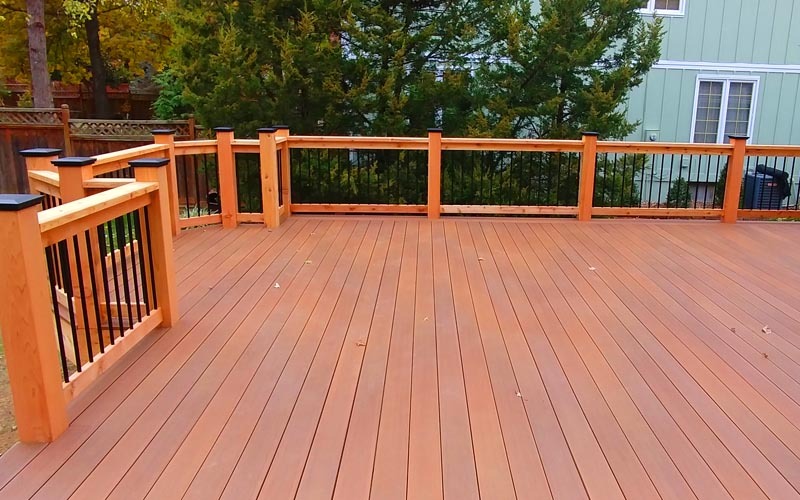 If you are building a home and want a stunning deck that you can enjoy for years to come, KC Deck Pro can make your vision a reality. 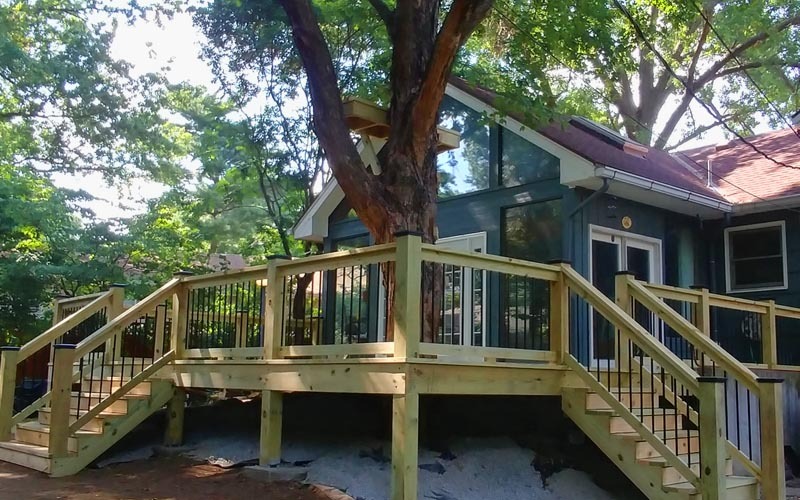 We will consult with you to find out exactly what you want your deck to look like and use high-quality materials and the expertise of our builders to construct the perfect deck for you and your family. 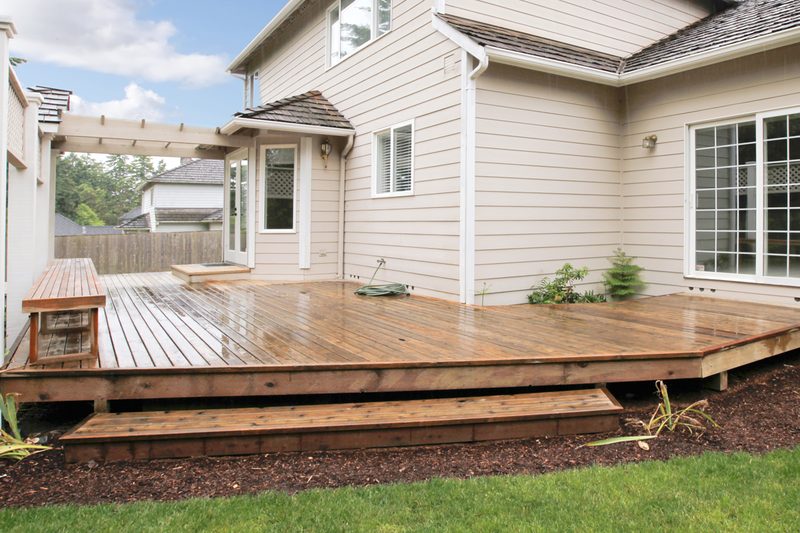 Maybe you aren’t ready to install a brand new deck, but your old one has seen better days. 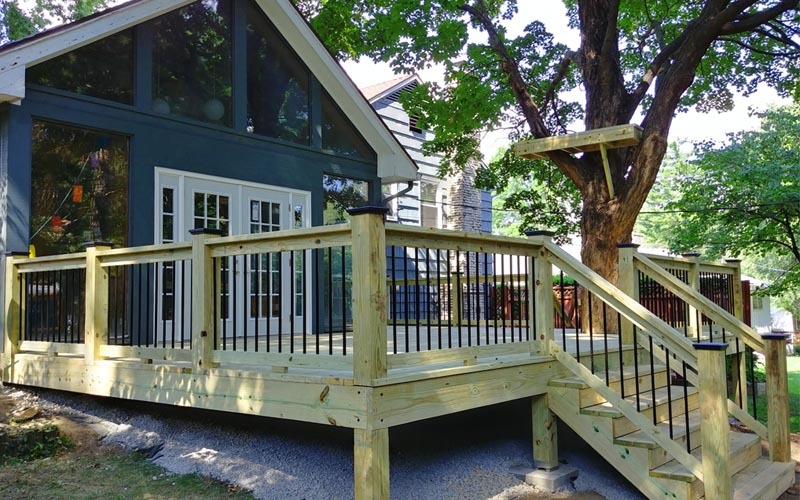 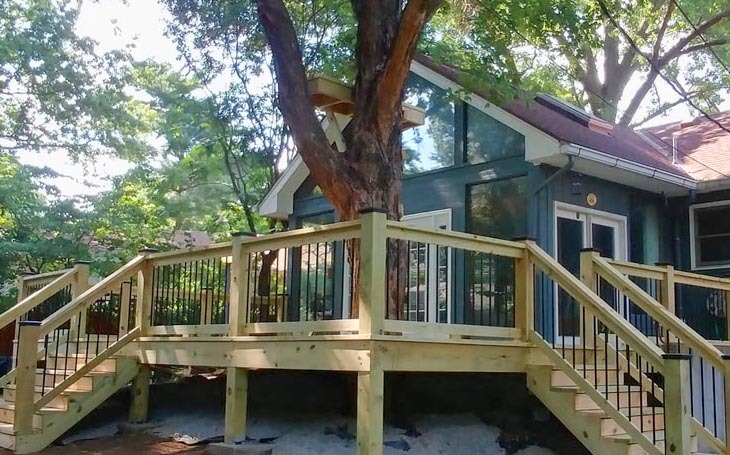 Deck repairs may not seem as exciting as a full blown installation, but are sometimes necessary to maintain the beauty and safety of your existing outdoor space. 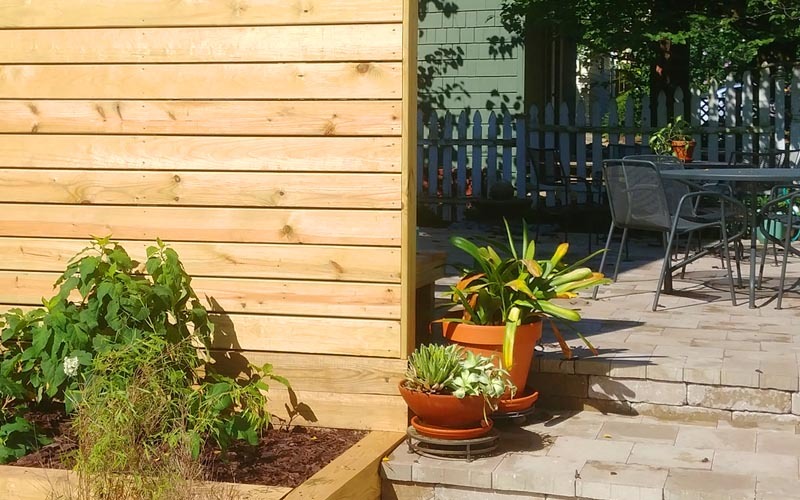 Is your existing deck just not cutting it anymore? 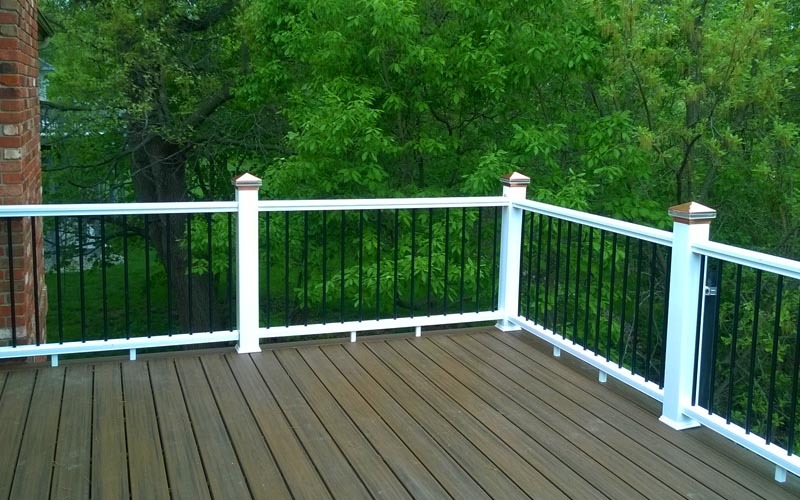 The experts at KC Deck Pro can come out and perform a full deck removal and replacement. 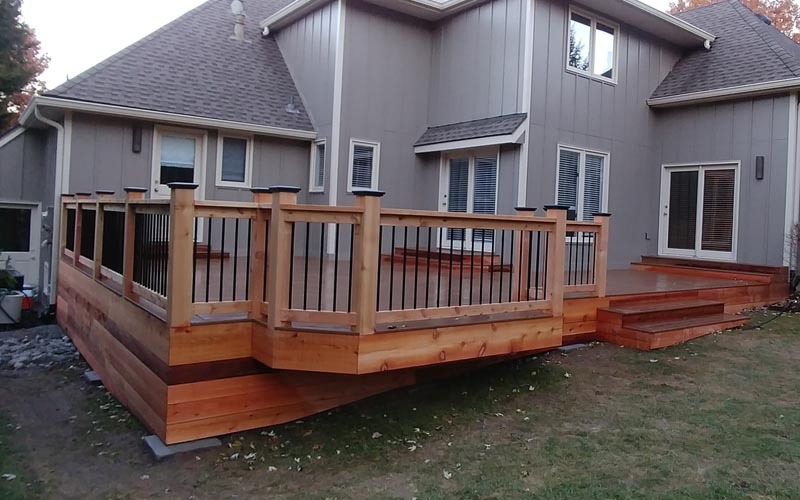 Our team will work with you to plan your existing deck removal, create a deck design plan, and build a new deck for your home. 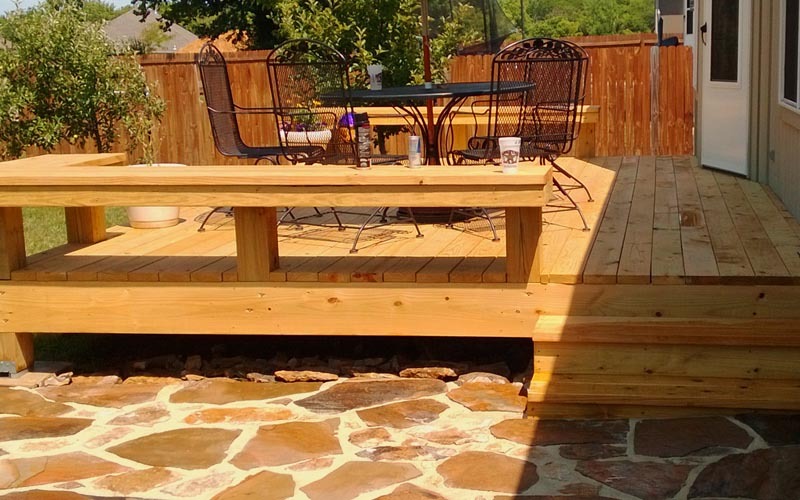 We will pay close attention to detail and work quickly to create the deck you have always dreamed of. 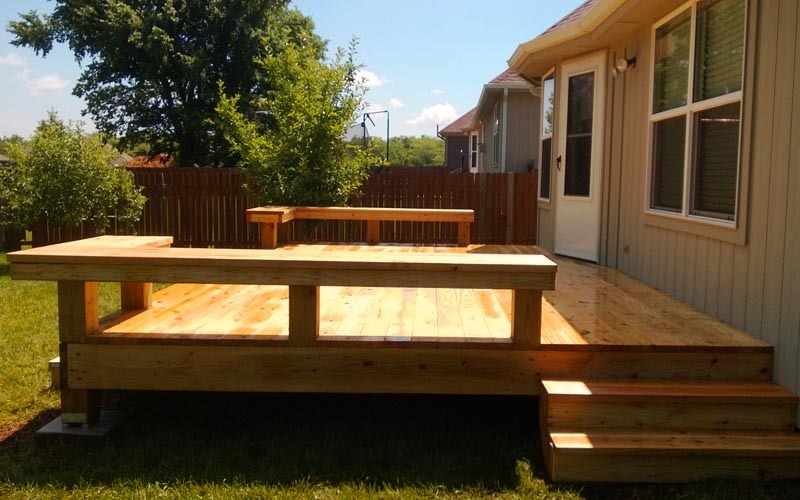 As premier deck builders in the Overland Park, KS area, we know that deck design is just as important as structural integrity. 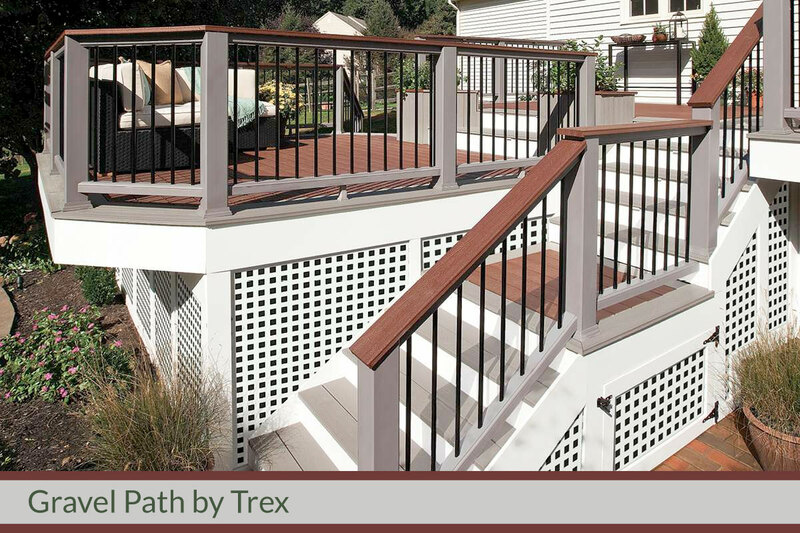 That is why we take the time to find out exactly how you want your deck to look and use up to date techniques, products, and accessories to achieve stunning results. 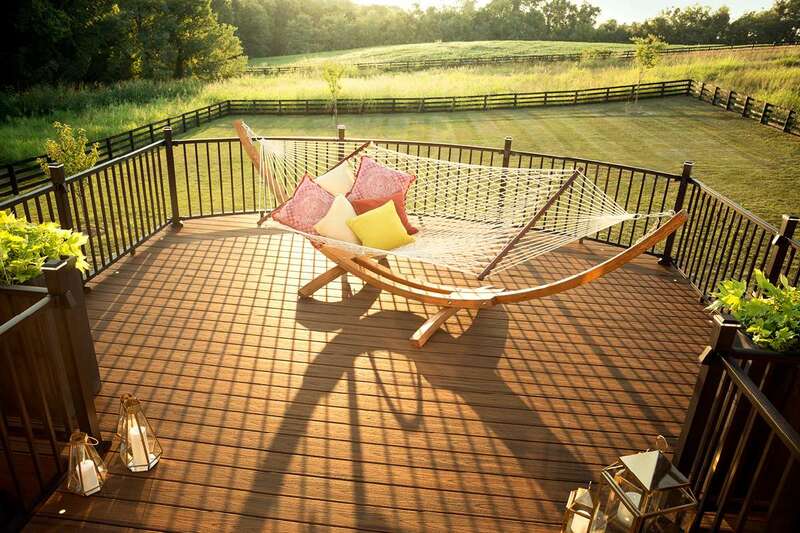 At KC Deck Pro, we believe that a deck is not just an extension of your home – it is an extension of you. 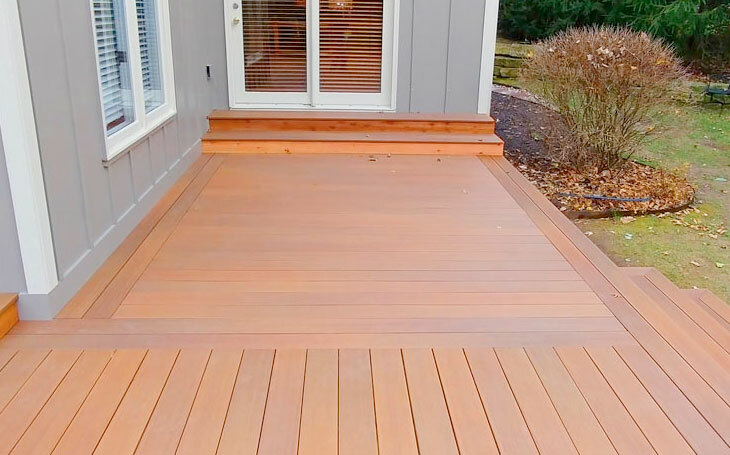 We utilize our years of experience, expert knowledge, and high-quality craftsmanship to offer deck building, deck repair, and deck replacement services to the Overland Park, Olathe, Leawood, and surrounding areas. 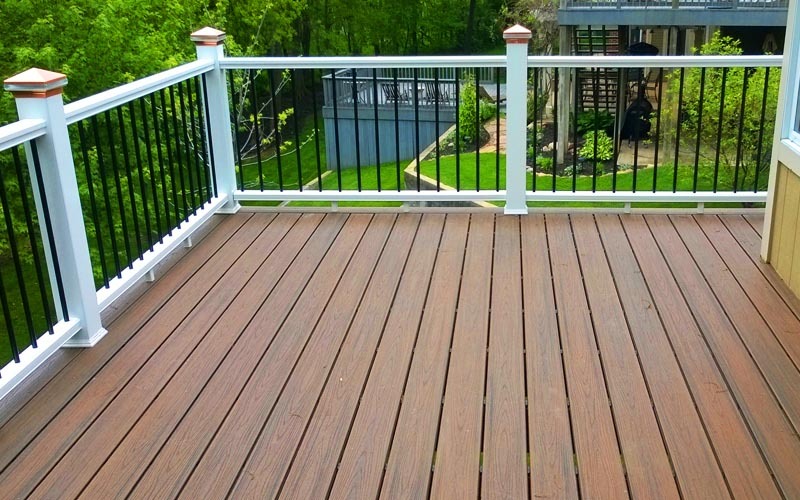 Composite or synthetic decking is a fantastic choice if you want great performance and long-lasting results with very little upkeep. 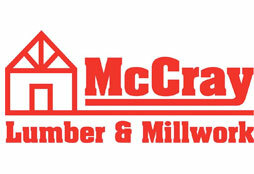 Our top-notch products are less likely to fade, stain, and breed mold and mildew. 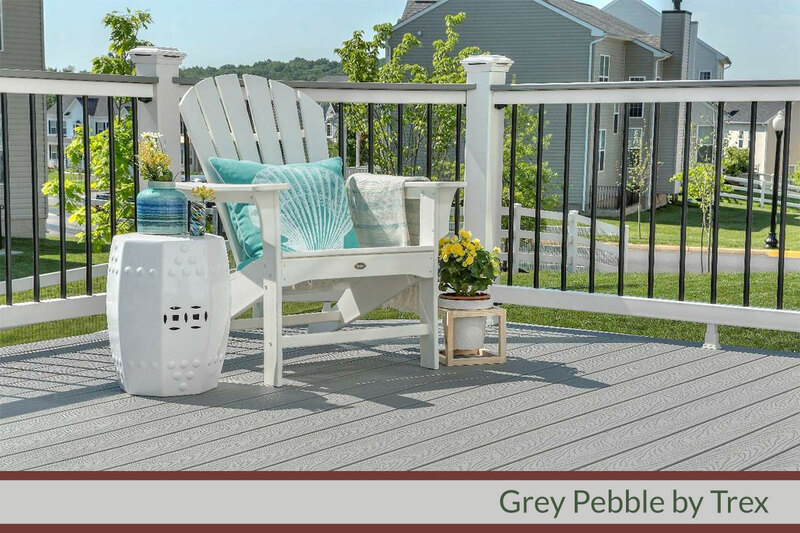 Our deck color options boast a tremendous variety of natural-looking colors, including tones that imitate realistic hardwood grain patterns. 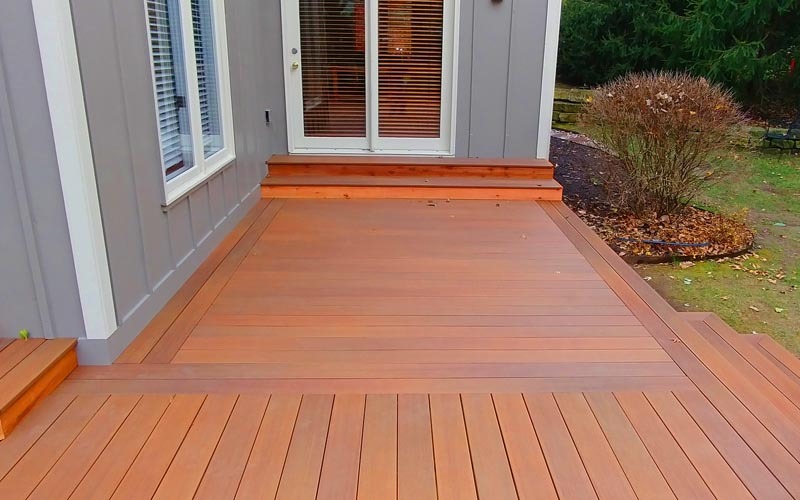 You want your deck to maintain its beauty and structure for many years to come with minimal maintenance. 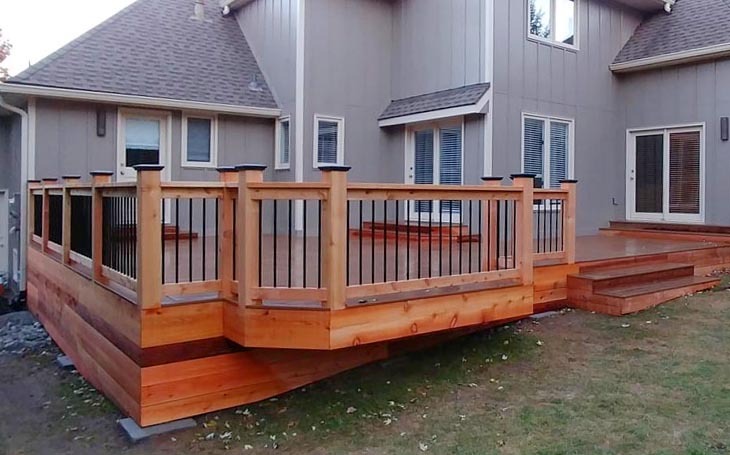 We offer cutting-edge composite and pressure treated wood decking, deck lighting, handrails, and other deck design add-ons that are low-maintenance, attractive, and durable.